There is an very interesting and instructive incident which happened in Shirdi, as all the incidents related to Sai Baba could also be called a parable. In 1912 Dada Kelkar visited Shirdi and stayed in Sathe Wada. Sathe Wada was built by Mr. Sathe and Dada Kelkar was his brother in law, so he made it is home and remained in Shirdi for along time. Sathe Wada was built adjacent to the holy neem tree, the Gurustan and was used by the visitors of Shirdi as Dharmashala. Once an old lady from Dahanu visited Shirdi for Sai Baba's darshan and she took the lodging in Sathe Wada. Dadasaheb Kelkar was a Brahmin and followed strict religious rules. He would not eat onions and garlic as they suppose to aggravate tamasic energy in individuals. Tamasic energy is the negative energy which is responsible for negative feelings like anger, mental and emotional down . Sai Baba had a special love for onions and onions were a regular part of his meals. The old lady had spent her whole life in village and had some rustic habits. For the evening meal, after the dawn she bought some onions from nearby shop and started peeling and cutting them outside the Sathe's Wada. Dada Kelkar on seeing this started shouting in anger at the old lady about the act what he thought was irreligious. The old lady emotionally hurt by this and startled in a unknown village far from her home, went inside her room with a gloomy heart. There was no other way for her to sit alone and cry. Dada Kelkar's grand daughter used to live with him. Suddenly she had a pain in her eyes. They tried different remedies for the same and none worked. 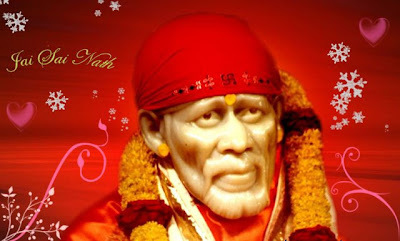 In the evening Sai Baba's darbar took place in Dwarkamai. The old lady also came to the Darbar with a heavy heart still wounded by the harsh words of Kelkar. Dada Kelkar too came to the Darbar and told about her grand daughter's painful eyes. Sai Baba said, "If you foment the eyes with warm onions, the agony of eyes will end." Pointing to the old lady Sai Baba added, " That old mother is sitting there, she resides in the room next to yours. She has some onions, take a onion from those, and foment the eyes after warming it, relief will be felt." The old lady still in the agony created by Dada Kelkar first refused to give the onion to him, but how could she deny the words of Saibaba? She agreed to give the onion to Dada Kelkar so that the paining eyes get the relief. in satcharitra it is written there is one temple in the sathewada or near to nim tree. does anybody know about that temple? it would be great if anybody can provide some information about that temple.